Pileas are an incredibly diverse group of plants with such a wide range of foliage colors, textures and leaf forms that it’s hard to believe they’re related. All species tend to create a lush, low mound of foliage. Older plants can be pinched back to encourage fresh new growth. 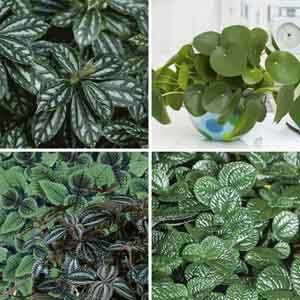 A very easy to grow, low maintenance selection. Looks great grown in containers and hanging baskets. Perfect for growing in a pots on a lightly shaded deck, patio, or porch during warm weather. A good choice for dish gardens or terrariums. 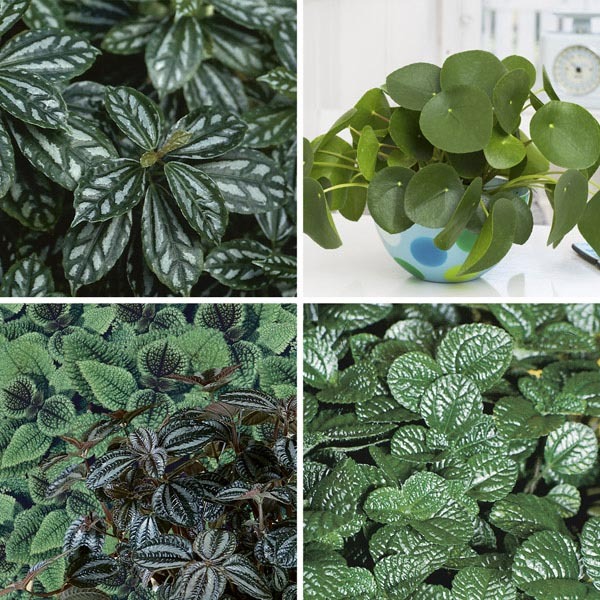 Thrives in a warm location with bright, indirect light. Allow soil to dry between thorough waterings. Can be pruned to maintain desired size.